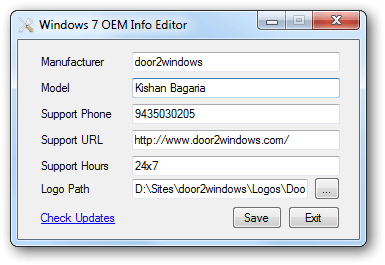 Windows 7 Oem Info Editor is a free portable tool for Windows 7/Vista that allows you to change the OEM information and display extra text in Windows 7/Vista system properties. Run the tool, customize the settings as you like and click Save. To view the settings that you have customized, press Win + Pause.